After a heavy rain in the evening, people are heading up a big slope to go back to their apartments. Somewhere, some people are chatting. Everyone who goes by is greeting each other. “Good evening. How is it going?“ one of them says. In a restaurant on the first floor is a party. They are singing, playing the music and enjoying the foods which the owner who is living there served. “Most of them are residents of this apartment, sometimes not.“ One of the residents says smilingly. They all are living in a big apartment. 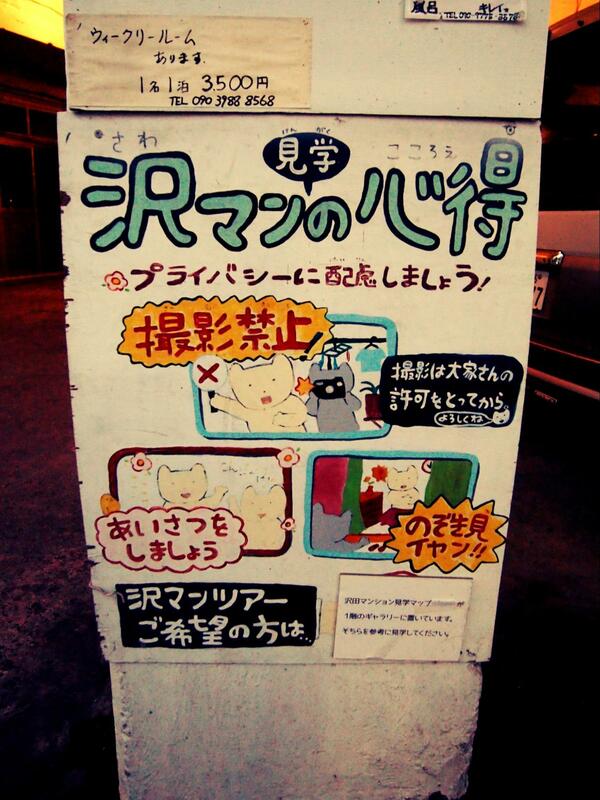 It is called “Sawa-man” which stands for “Sawada apartment”. In Japan, there are very few apartments like Sawa-man: the man and his wife who built it, the apartments themselves and the lifestyle that has developed there have helped to make Sawa-man a unique and very popular place to live. 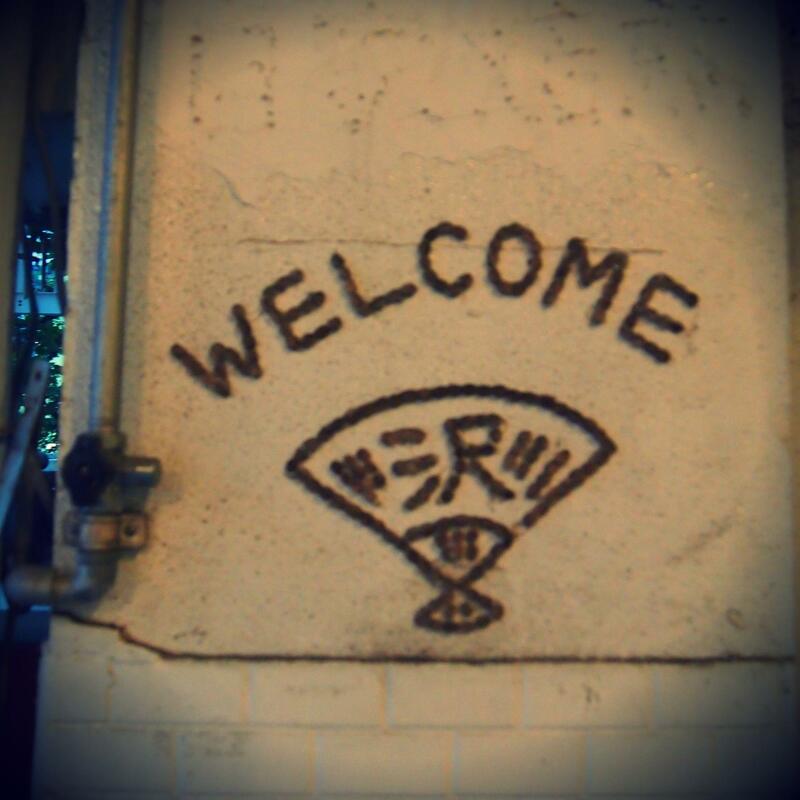 In Sawada apartment, they value communication. They do know each other and sometimes they hold some events for residents or visitors by themselves. They just enjoy as one of the residents of Sawa-man. 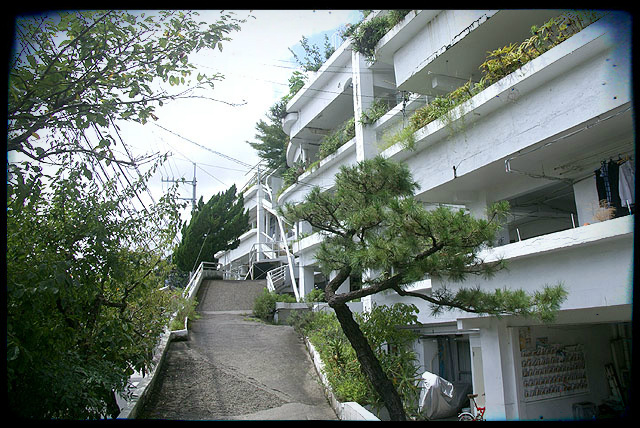 The lifestyle in a typical apartment complex in Japan is completely opposite to the lifestyle residents of Sawa-man experience. In a typical apartment complex, residents do not know each other, not even the person who lives in the next room. “In modern Japanese apartment living, we gradually have been losing contact with people,” said Hiroe Sawada, the owner. “What a pity! I do not like it. My husband neither. So here is not like that. We are getting along with each other. They have joint verandas in these apartments. 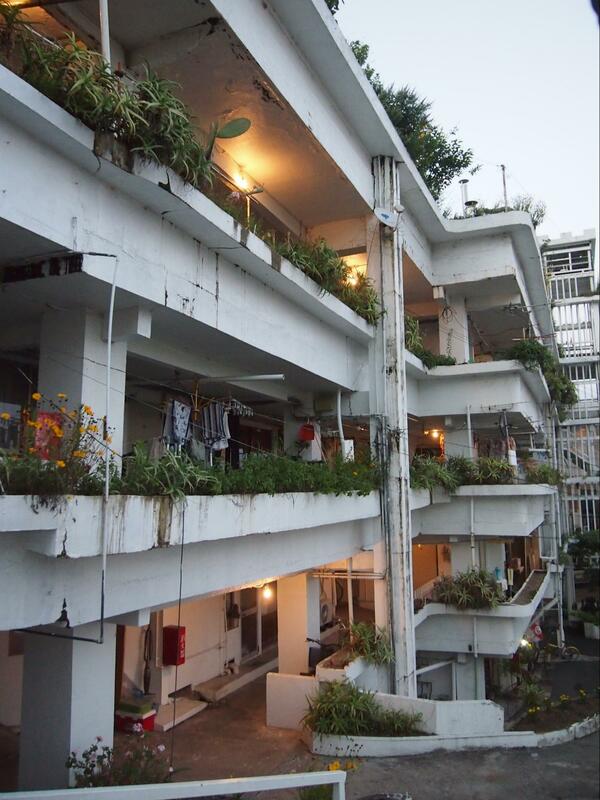 The residents can see the neighbors’ conditions anytime. Sometimes they find someone who is sick alone, so it works for helping those people. “No privacy? Oh I do not care. People care about it too much. They do not know that caring about each other is related to less crime!” She said with confidence. 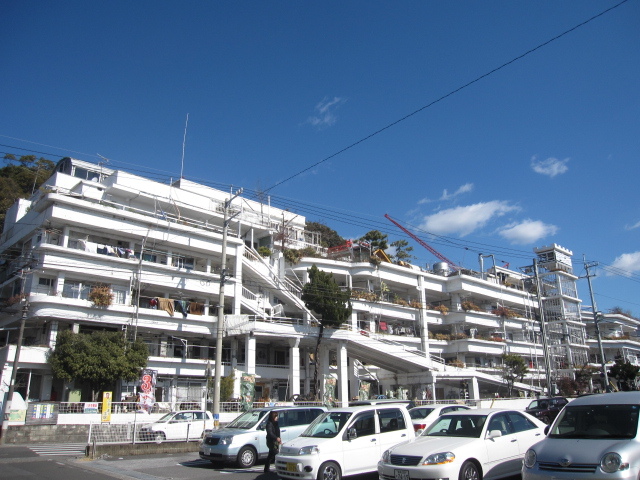 Modern apartments in Japan are likely to be simple styles. They have also same design and same layout. Namely, they have completely same rooms. But Sawa-man is not like that. Every room in Sawa-man has a different design. The Sawada couple put special emphasis on originality. 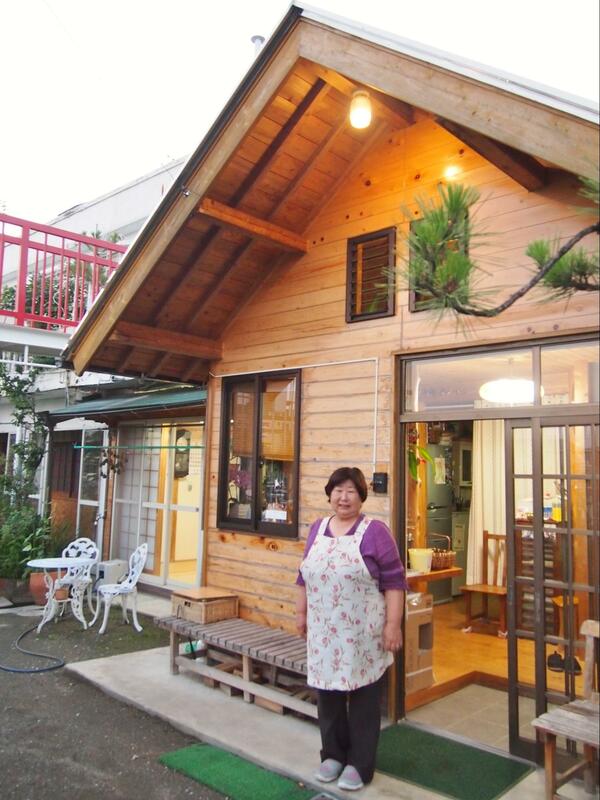 On the top of the apartment, fifth floor, Hiroe and her extended family are living in the house which is made of wood. Of course it was also built by themselves. There is a garden, a field, a dog, rabbits, cats and birds. Nobody can regard here as fifth floor. “Of course! It was our goal!” She said laughing. About 65 years ago, her husband, Kano, was 10 years old and had an inferiority complex due to his lack of any real education. At that time, apartments were so rare. Once he saw apartments in a magazine, he felt something strong. Besides, he was really interested in building thanks to his father who was a carpenter. For those reasons, he got a strong dream. The dream is “Building a big apartment which can accommodate one hundred people”. As you know, the dream came true because that is Sawada apartment. 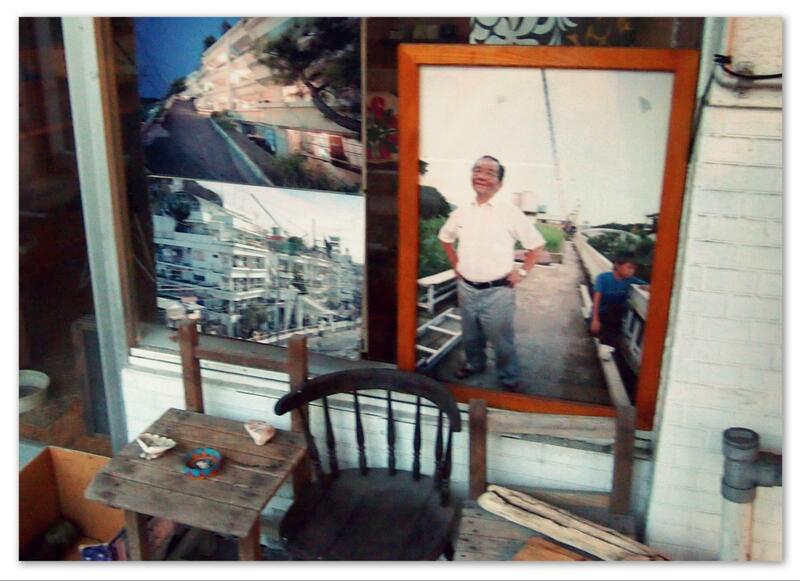 It was not his hobby, but his business and the mission of his life. It was the beginning of dream story for both of them. But for her, too, the project had deep meaning. It took about 15 years to build it. During the process, the apartment was covered by scaffolding, so they couldn’t see how it went. When they finished building, they removed the scaffolding and saw the apartment which they built by themselves only as they leaned on a gatepost together. They saw it from the first floor to the fifth floor slowly and carefully. “We said just one word to each other, but the moment was really unforgettable and the happiest moment for us.” She said, remembering the moment delightedly. She believes that making our dream come true, we need to move into action, keep doing and never give up. Just do it. Everyone can face with crises. However, thanks to those crises, we can achieve happiest moment. The more you have a hard time, the more you can get satisfaction. They, Mr. Sawada and his wife show us the greatest real examples of these. Now, her daughters’ families are also crazy about building. This Sawada-story will never end. “I want to build more and more. Why? Because when I meet my husband in heaven, I want to proudly show my buildings as evidence of my life to him,” she says and laughs. I’ve known this apartment, but didn’t its drama. Now, I’m so impressed and fascinated that I’d like to live there! I really moved by this story! Every time I saw this apartment, I thought who build this nice apartment. Now, I found that answer include really heartwarming and wonderful story. Someday, I would like to visit there and enjoy Sawa-Man. Thanks to your article, I’d like to live to Sawa-man!! First time I saw Sawa-man, I don’t remember exactly when it was though, I was sort of scared because I heard the apartment is haunted (I am not sure if that is true or not). Later, I heard that is a mansion that the owner built by himself. I felt that is cool but doubted if it is really possible. Now I read your article and was impressed to know there was such a beautiful story.